Each famous star gets followed by the paparazzi every day. Especially when your name is Justin Bieber! He is so popular that everyone wants to know just everything about him (otherwise you wouldn‚Äôt be reading this ;) ) The following paparazzi must be very annoying because you can‚Äôt afford to misbehave, which would lead to bad media attention. If you are grown up, it isn‚Äôt very hard to behave. But if you are a teenager like JB, sometimes you want to make a mischief. So yesterday Justin couldn‚Äôt resist making a region. Justin was horsing around with members of his staff outside a trailer. They were throwing water balloons at each other. Then one of the balloons hit a trooper’s gun belt and burst, and one other brushed a trooper on the chest but didn’t burst. The totally wet police man couldn‚Äôt laugh about it and he wanted to arrest Justin. But luckily for Justin, his bodyguard was on hand to talk the angry officer out of arresting the teen. Girls who visit Justins concert in Maryland must also thank this bodyguard, because the balloon-throw-action was moments before he was performing in Maryland. Justin’s behavior has been described as quite inappropriate by the police, but luckily no further action will be taken against the teen sensation. Would you mind to get wet with water balloons? I would mind, unless they are being thrown by Justin :$ ! justin voce no fundo do meu coracao . The police is soooo wrong even for almost arresting him.He did it by mistake anyway,he didn’t mean it.That police man is going to hear alot of girls yelling at him outside of his house. ke bkn puedo saber todo del mejor cantante de la juventud te amo justin biber i am love justin .yo tengo una compa√±era que te adora y sabe todo sobre ti es la fan numero uno de ti ella se llama GENESIS TORRES ella tiene TUIITER y quiere que alguna vez puedas hablar con ella . i am love. hace me ese favor . por que le dije que tu le hablarias. zorri si no puedes por que alomejor estas muy pero muy ocupado pero a ti no te va importar que le rrompas el corazon a una fan ya que tienes tantas ah y porsia me llamo LAURAR .R . y tengo 10 A√ëOS …. I love youuuuuuuuuuuuuuuuuuuuuuuuuuuuuuuuuuuuuuuuuuuuuuuuuuuuuuuuuuuuuuu.Adoro vc.Minha irma Nadine gosta muito de vc.Somos suas fans.Baybi,baybi,baybi no.Rsrsrsrsrsrsrsrsrsrsrrsssrrrrrs. JUSTIN BIEBER IS A NOT _ _ _…YOU KNOW?? my names is laura rivera is number 10 ten ,my frens is fan number one 1 wi ti is love . an ahi vivo is in santiago -chile -maipu . my frens is name GENESIS TORRES my frens tu fan i am ti is loveeee- i am zorri is puedes hablar in chi aa i ¬ø wats is number ? i am is ¬ø wats is two 2 names i is two 2 apellido? is bye baby. YOU LOOK SO NICE. I LOVE SO MUCH . HEEEEEEEEE!!!!!!!!! 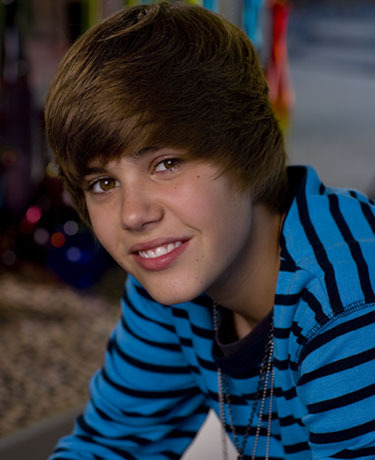 Justin Bieber eu te amo, vc √© lindo d+. Gosto muito das suas m√∫sicas gato. Eu amo o Justin Bieber ele √© um gato e ele canta muito eu queria muito ganhar uma camiseta dele e o poster dele.Te amo Justin Bieber e eu sou muito sua f√£. justin bieber te amo vc e muito lindo bjs ! i love justin bieber when he sings up and overboard so much! …tudo que uma garota sonhou… tudo que uma garota acha que precisa……+ nem todos nos sabemos quem s√£o as pessoas de verdade !!!!!!! tipo eu estou me referindo a ele (Justin Bieber) cara tipo assim todas as garotas s√£o assim quando elas ver ele ficam doidas tipo assim ela nem conhecem ele e ficam assim…..cara pra mim ele s√≥ √© + um desses famosos que na frente das c√¢meras √© um santo por tr√°s eu acho que nem liga pra essas fans loucas……….eu acho que n√£o liga pra elas por que ele pode ter a garota que ele quiser ent√£o por isso ele se acha………….. resumindo o que eu quero dizer Justin Bieber EU TE OOODEEEIIIOOO!!!!!!!!! …jb your so funny and cute love u.
so ever wants to talk tipe it. justin bieber “neve say neve”musica youtube corazon…. te quiero..
hola bebito tesoro mio me encanta tumanera soy tu fans numero1……………………. ayyyyyyyyyy love de amor x vs mi vida te tengo una gana y me auuuuuuuu me muero esa foto esta de diezzzzzzzzzzzz…????????? te recontra cojoooooooooooooo amor mio?????????? justin me encantaria q’ dieras un concierto en argentina san juan!!!!!!!!!!! !